Diane Therrien has been elected as Mayor of Peterborough, defeating incumbent Daryl Bennett who was seeking his third term. The 32-year-old Therrien, who has been City Councillor for Ward 3 (Town Ward) since 2014, took an early lead in the results and, as more polls reported, continued to widen the gap. By the time all polls had reported, she had garnered 19,254 votes (69%) to Bennett’s 8,659 (31%). She ran a change campaign, with policy commitments including immediate action on transportaton and mobility, housing affordability, responsible financial leadership and oversight, safe residential streets, a vibrant and healthy downtown, transparency and public engagement at City Hall, improved parking, and protecting the local environment. Born in Mississauga, Therrien attended McMaster University in Hamilton for an undergraduate degree in history and peace sudies. She moved to Peterborough to attend Trent University for a postgraduate degree and graduated with her Master’s Degree in Canadian and Indigenous Studies in 2012. 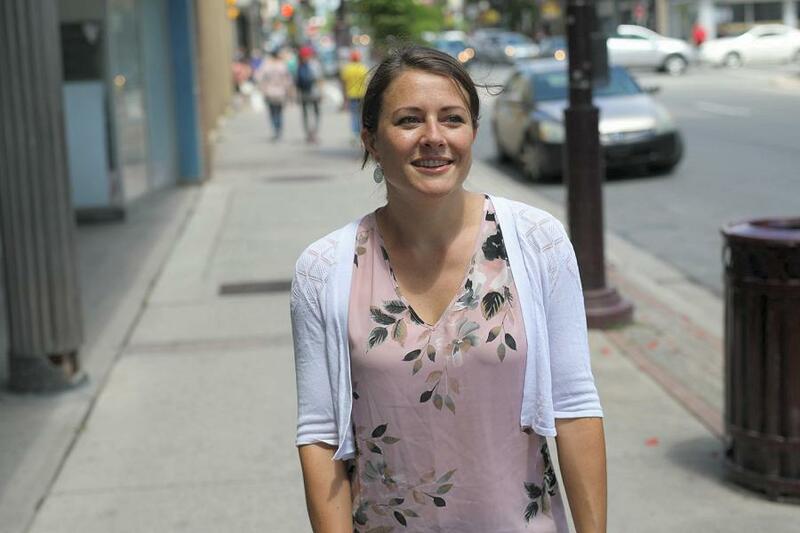 After working for the Ministry of Aboriginal Affairs in Toronto, Therrien returned to Peterborough to work as facilitator of community education and engagement with the Peterborough Poverty Reduction Network. She ran for Peterborough City Council in Town Ward for the first time in 2014 and was subsequently elected. She has sat on a number of city committees and boards including the Affordable Housing Action Committee, the Peterborough Downtown Business Improvement Area, and the Art Gallery of Peterborough.